Hi guys! I have some older photos from previous swatching sessions to get through before moving on to more recent photos, so you'll have to bear with the nubs. I usually only swatch on the weekends because that's when I have free time! 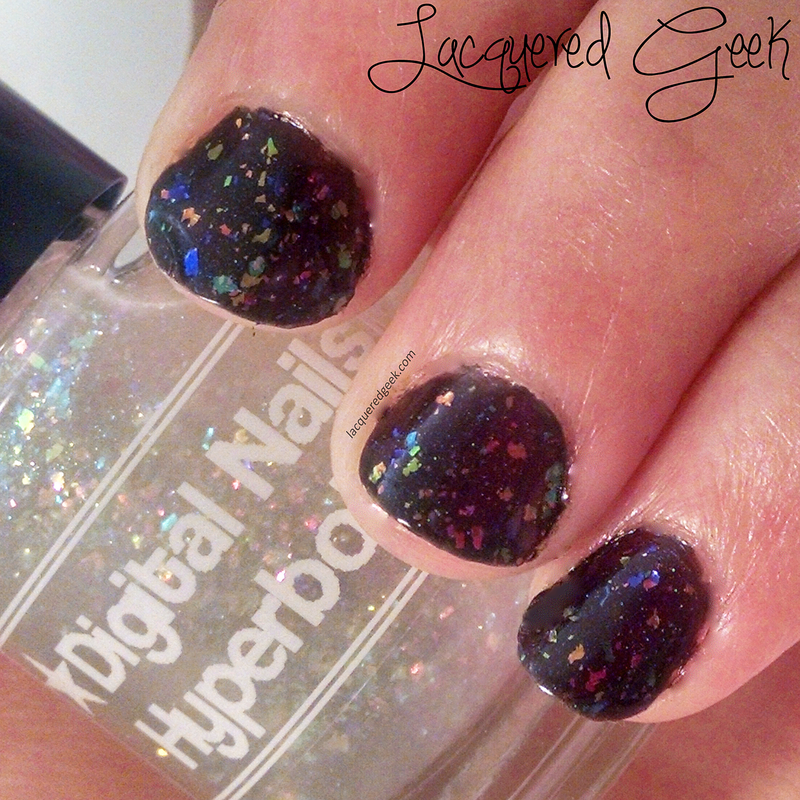 Today,I want to show you a gorgeous flakie from Digital Nails - Hyperbole. Hyperbole is described by Raph (the owner and creator at Digital Nails) as "LITERALLY THE MOST BEAUTIFUL NAIL POLISH ON PLANET EARTH." There's flakies; there's microshimmer; this baby's got it all! 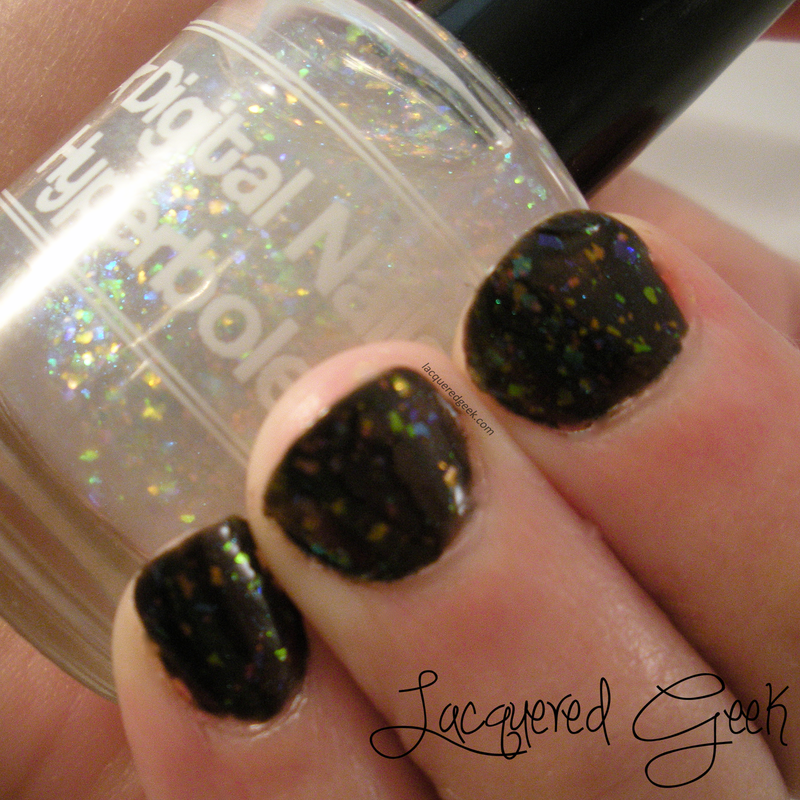 Hyberbole is an absolutely stunning 1 coat rainbow flakie. I wore it over a black base (Zoya Anais) so that the rainbow would be more visible, but it looks equally amazing over lighter bases. As Spring is finally starting to make an appearance here, I've been wearing lighter shades, and I have a feeling that Hyperbole is going to get a lot of use! Before I wrapped things up with Hyperbole, I wanted to see how it looked matted (the above photos are with a shiny top coat). It's definitely a different look, but I prefer it shiny! 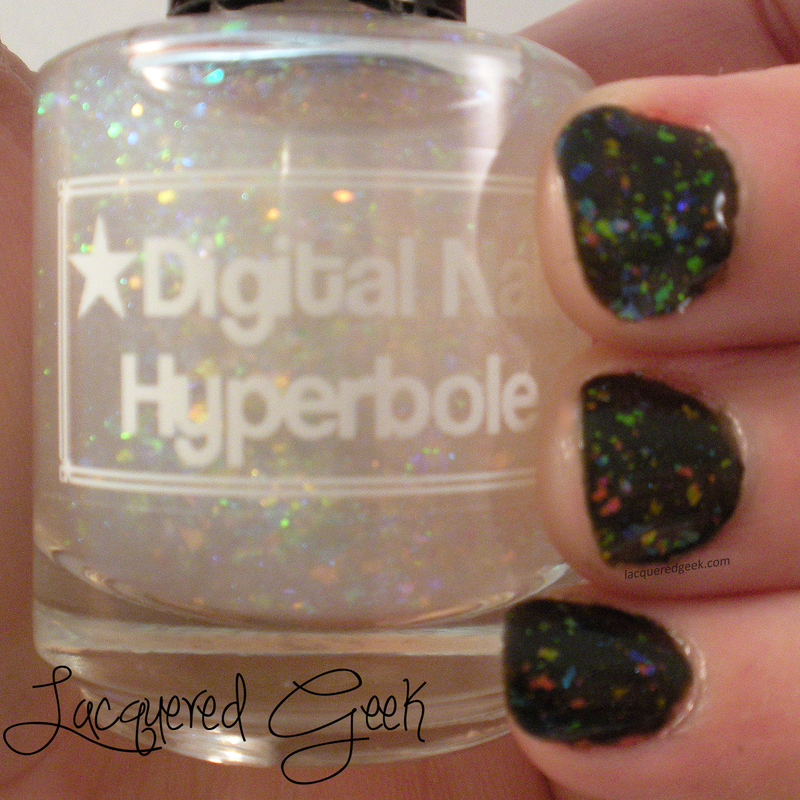 Hyperbole is a limited polish. It is made one bottle at a time so that none of the flakies are wasted (those little babies are pricey! ), and only a few bottles are listed at a time. 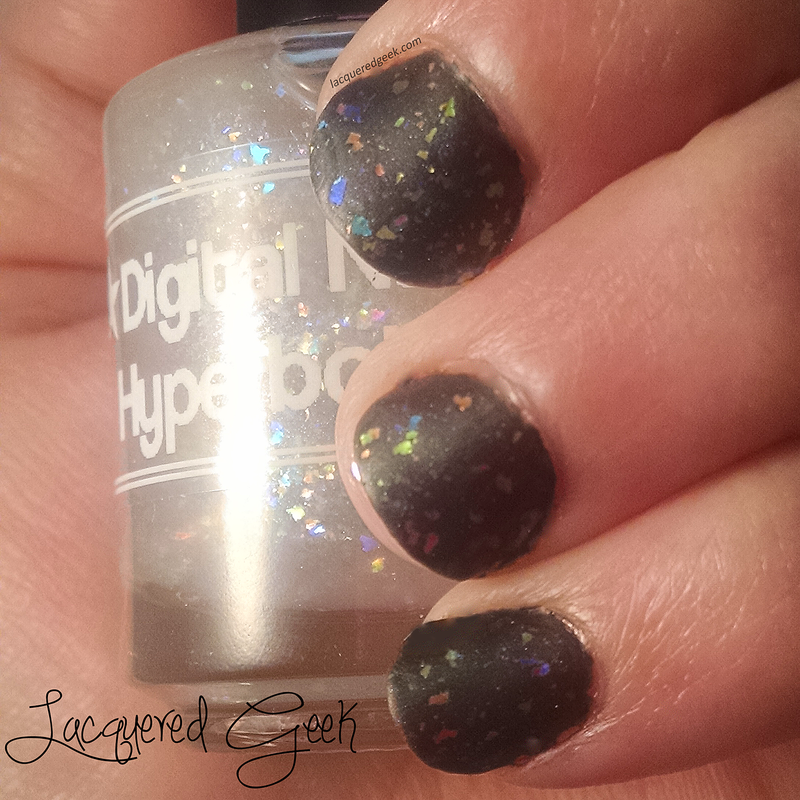 Once the bottom of the flakie jar is reached, there will be no more Hyperbole - so if you see it in stock at Digital Nails, grab it while you can! If you don't see it listed, then check out the Digital Nails Facebook page for updates on when it will be restocked. What do you think about the latest flakie craze sweeping the indie world? Do you want to flakie all the things, or are you already over it?